This Alaska Flightseeing Tour of the Triumvirate Glacier and Mt. Spurr is sure to be the memory of a lifetime. This trip leaves Anchorage daily and heads north over the dense forests of the Susitna Valley. On your way to the glacier there will be perfect opportunities to spot for moose, grizzly bears, swans, and eagles. 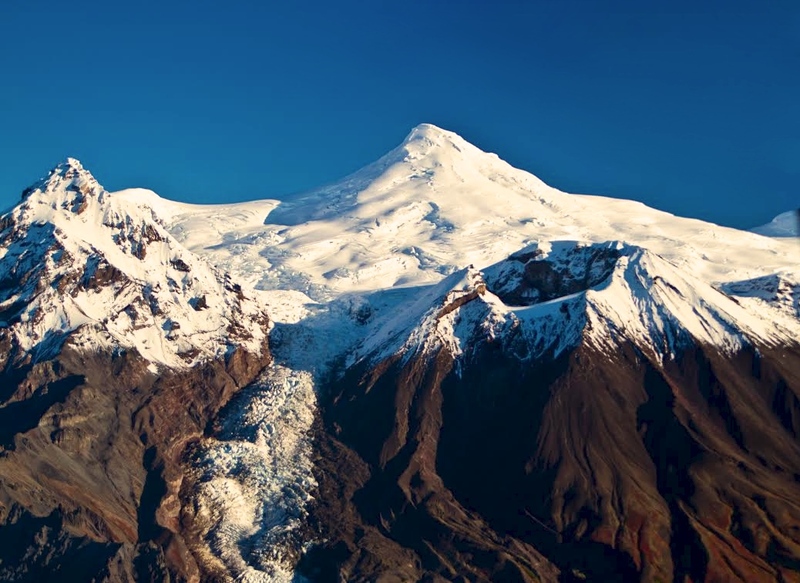 Flightseeing over the volcano and the glacier will give you a true appreciation of the incredible geography in Alaska. Mt. Spurr is an active volcano that last erupted in 1992 and dominates this area in the Alaska Range. Flightseeing over this area you will get a great view of the way the volcano formed the area, and how the glacier is still forming it. The Triumvirate Glacier is a blue giant with a light dusting of ash from the last Spurr eruption and the recent eruption of Mt. Redoubt. After great views of this area we will make a water landing on Beluga Lake to stop and stretch our legs on a sandy beach. After the stop at this wilderness lake the flightseeing continues over the shores of the Cook Inlet were you will look for feeding Beluga Whales on your way back into Anchorage. Alaska Flightseeing with Regal Air at the Triumvirate Glacier and Mt. Spurr is sure to be the experience of a lifetime! Contact us today to book your Flightseeing Tour of the Triumvirate Glacier.